Illuminated: The Morwell Central hotel was lit up with artistic light projections. The often quiet streets of Morwell became "magical" in a celebration of light, music, dance and art as the chill and darkness took hold on Friday night. Residents peered into shop windows along Commercial Road to discover their normal habitats anew. A male choir sang in a fish and chip shop, the Paperdolls dancers did the Charleston in the drycleaners, light projections cascaded off the central business district buildings and Tarwin Street swarmed with people sampling food and local wares. 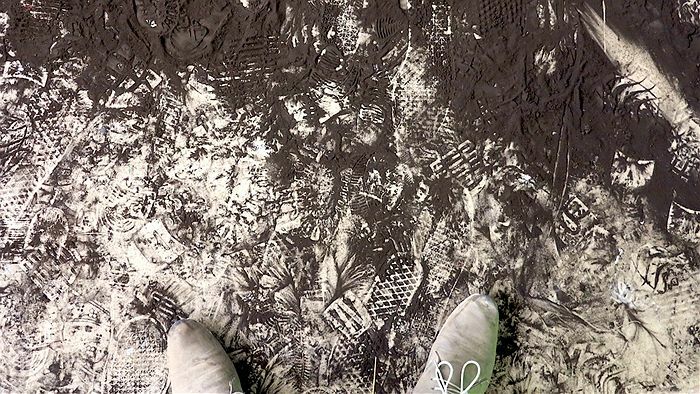 "It was a celebration of place, by wanting to explore and seeing things that are everyday become something new," Reactivate Latrobe Valley co-director and organiser Craig Douglas said of the second annual Winter Night Festival. Mr Douglas and co-director Rosalea Monacella estimated the festival had tripled in attendance numbers since last year. The organisers also commented on participation with more shops, local businesses and community groups becoming "agents of change" and contributing to what Morwell could be. "We're trying to highlight Morwell and the Latrobe Valley and hint it can be a strong cultural hub with so many musicians and performance artists. It really is a phenomenally mix rich of culture," Ms Monacella said. Paperdolls member Emma Lewis said the dancers had performed a Charleston 'Great Gatsby' inspired number in the drycleaners, became pop-up mannequins in a beauty salon and mod Go-go dancers in the 'After 65 exhibition' at Latrobe Regional Gallery. Dancers in the former spotlight building on Commercial Road. "We think it's really important for our community to reinvigorate the Latrobe Valley and it's got such a warm community feel about it. It's been a wonderful opportunity to be a part of it," Ms Lewis said. The festival also held a youth event at Traralgon's VRI hall with local emerging bands and more light projections. Struck: Morwell's Masonic Lodge in Hazelwood Road will be illuminated tomorrow night as part of the Reactivate Latrobe Winter Festival. photograph supplied. USUALLY a quiet and contemplative space to reflect on art, Latrobe Regional Gallery will take on a new dimension as night falls this Friday. As part of the ReActivate Latrobe Winter Night Festival, the Morwell gallery will offer 'back of house' tours of the gallery's 1500-work collection preserved behind the white-walled exterior. 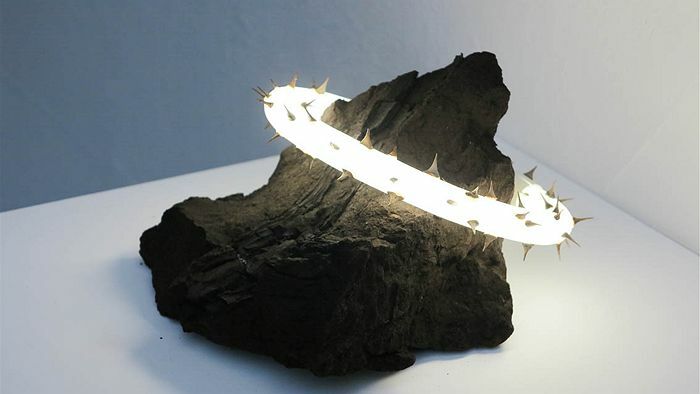 "Behind that door there's paintings, there's glass, there's ceramics... everything under the sun, all stored in a certain way," Latrobe Regional Gallery acting arts director Shelley McDermott said. She said this included conservation efforts, including how art works were stored and catalogued to ensure they last for future generations. "It's a huge task that no-one normally sees," Ms McDermott said. Inspired by 1960s optical art exhibition 'After 65', staff, artists and musicians will also roam the gallery in 1960s mod and Go-go dancer get-ups, offering free children and family art activities. This includes drawing in the 'Radicals, Slayers and Villains' print exhibition, optical-illusion artwork and a photo booth. 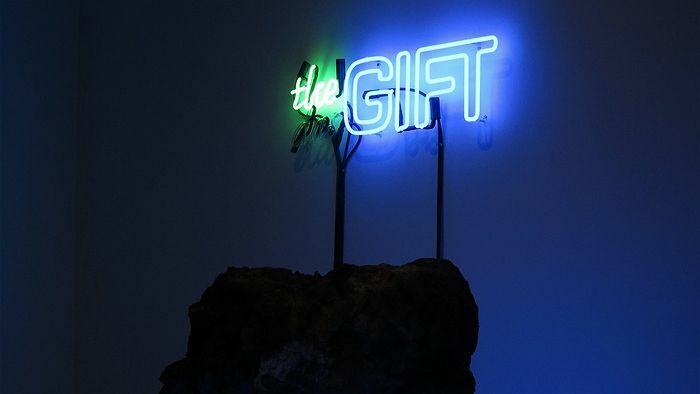 Ms McDermott said the night created a different "vibe" in the gallery and was more accessible for those that had perhaps spent little time in the space. "It's a different atmosphere and a different kind of visit," she said. The Winter Night Festival, running the length of Commercial Road and Tarwin Street in Morwell, will run from 4pm to 10pm tomorrow. It will feature local musicians such as the Strzelecki Stringbusters, a showcase of stalls and local enterprises, artisan foods, artists, performers in shop windows and community groups from around the region. Traralgon's VRI Hall at Queens Parade will also host light projections and music performances on Saturday from 1pm to 10pm. THOSE passing by the historic Masonic Lodge in Morwell tomorrow night might wonder if the 1927 building has "come alive". 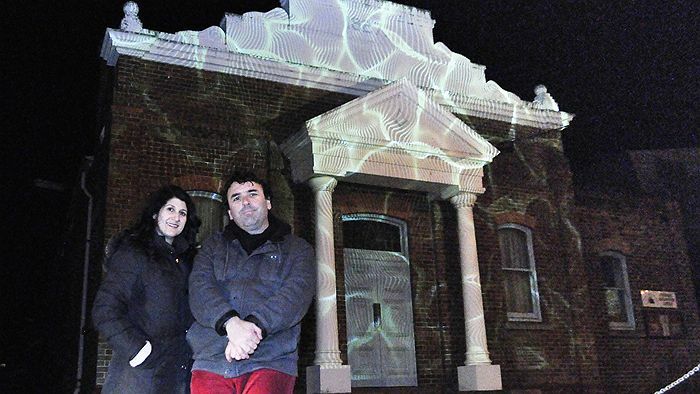 Traralgon artists Eloisa Tripodi and Dan Clancy are among projection artists who will illuminate buildings in the central business district as part of ReActivate Latrobe Winter Night Festival. 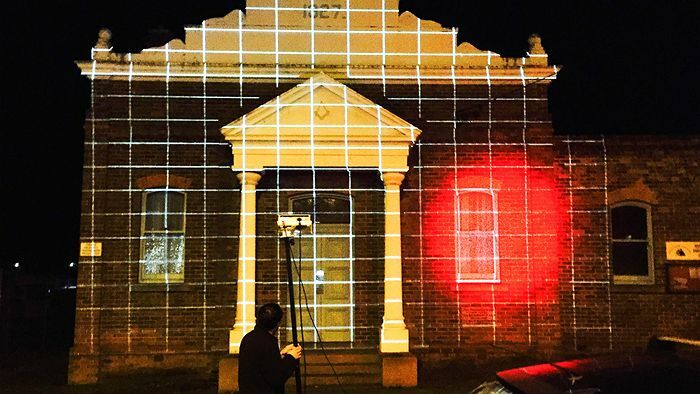 Using projection mapping at the Hazelwood Road building, the artists have created interactive sound and light animation that will seek audience participation. Tap a xylophone with a hammer and musical notes will appear on the brick building. Blow soap bubbles to see animated bubbles floating through the interior of the building. Ask the building a question, and one of its inhabitants, Member for Morwell Russell Northe or Latrobe City mayor Dale Harriman, will answer. "It's almost like animation, you're projecting the image of the building back on to the building and manipulating what it looks like," artist Dan Clancy said. "Our project is interactive, not a static display like many have seen at White Night in Melbourne. The audience can tell the building how to feel or react." In preparation for the performance, Mr Clancy and Ms Tripodi have spent nights in the "freezing cold" experimenting and testing the light projections. Mr Clancy said the lodge was the best building for light projection mapping and hoped residents would walk down from the market at Tarwin Street to visit the building and nearby Latrobe Regional Gallery. "It's not just a kid thing, it's for adults as well," he said. "It's a live performance and will react to our audience as well. If the audience wants to participate they can, but they don't have to and can still enjoy the sound and light show."